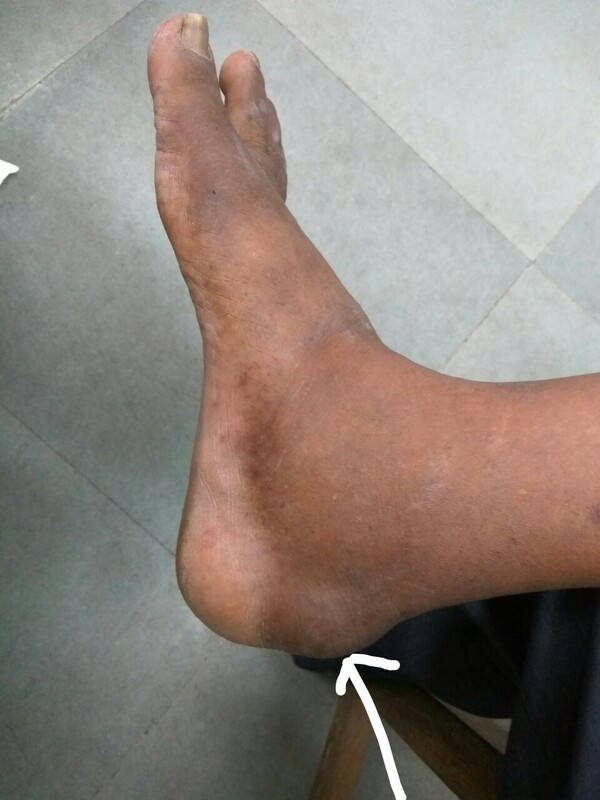 A 60 year old male patient came with complaint of swelling and pain over posterior aspect of ankle. He thinks that it was caused by a blunt injury over the same site about 2 years back after which he developed the swelling which gradually grew in size to attain the current size and has been having chronic pain while walking ever since. The swelling is about 3x3cm in size, not warm, tender, firm and not freely mobile. Plain of the swelling is subcutaneous.On Xray there was no bony prominence corresponding to this swelling. This is not same as Haglund's deformity. Haglund deformity, also known as a pump bump or Bauer bump or Mulholland deformity, is defined as bony enlargement formed at posterosuperior aspect of calcaneum. 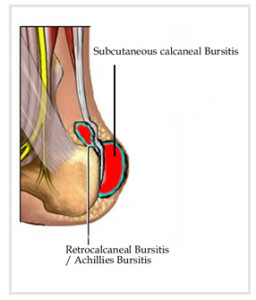 This deformity leads to retrocalcaneal bursitis .